The Backcountry Stool is part of the Wilderness Collection. These beautiful, practical tools are inspired by traditional expedition tackle and the rugged intellectuals of America’s early naturalist movement. 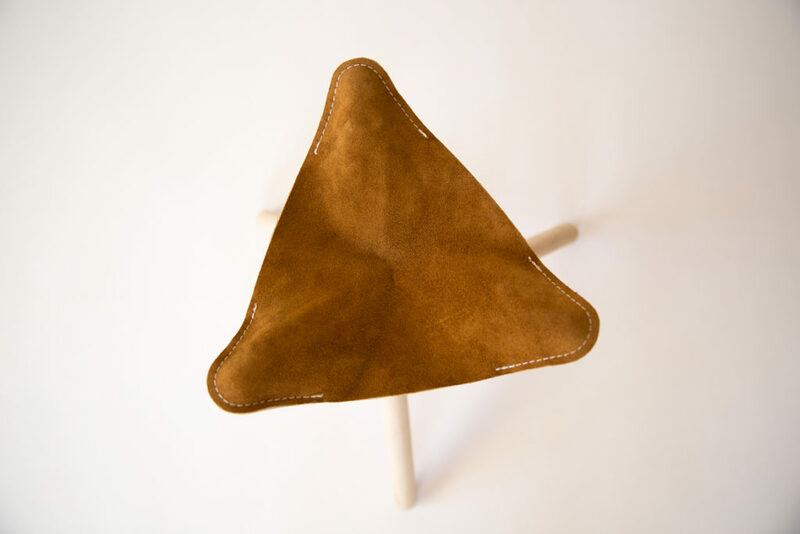 Suede leather and wood folding stool for kids. The Backcountry Stool is part of the Wilderness Collection, a collaboration between Kalon Studios and Nico Nico. These beautiful, practical tools are inspired by traditional expedition tackle and the rugged intellectuals of America’s early naturalist movement. 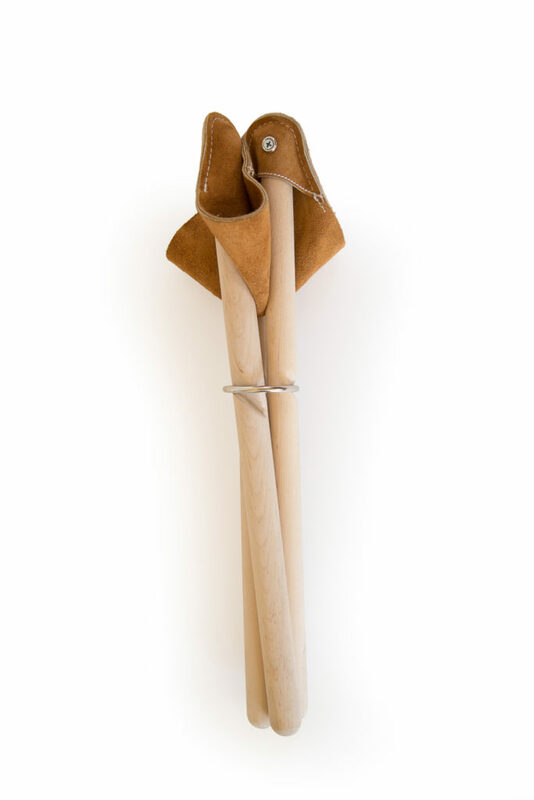 Made from the classic, natural materials of wood, leather and canvas. All pieces in the collection are designed to open up a child’s fantasy world and to set no boundaries on creativity. 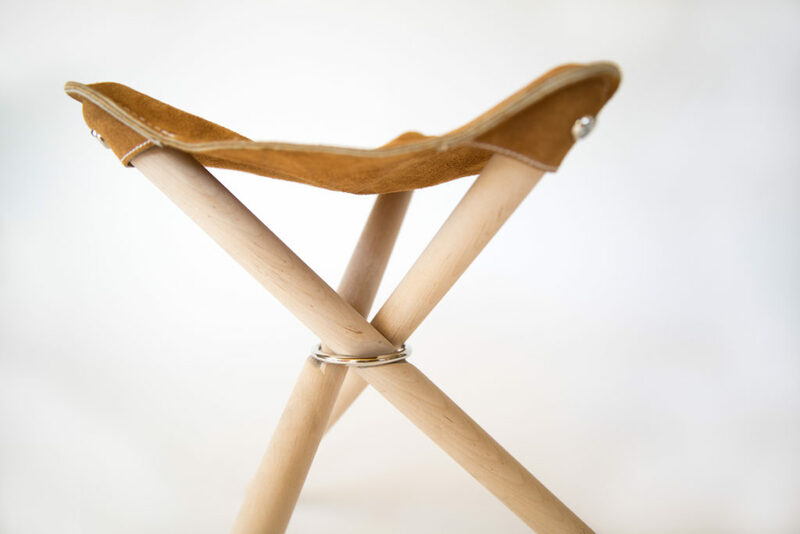 The Backcountry stool has a suede leather seat. 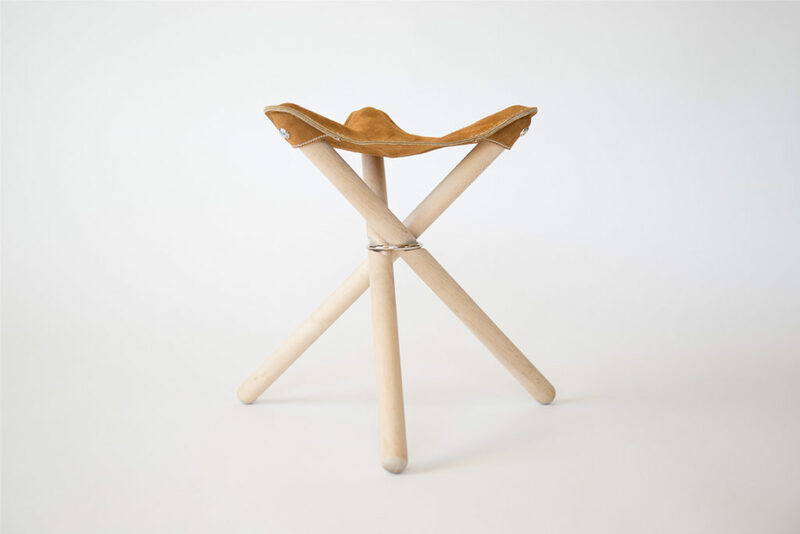 Deceptively simple, the unique construction of the stool allows it to easily open and collapse so that children can pick it up and carry it with them. Pairs with the Field Tent. For an adult version, see the Coyote Stool. This item is sold out. Please email [email protected] to inquire about the wait list. - Email me when the item is back in stock.